The rear spring isolated from the chassis by rubber bushings. Failure of these bushes will cause both the rear locating pin (SUS105) and front pin (SUS722) to wear, resulting in excessive play in the rear suspension. 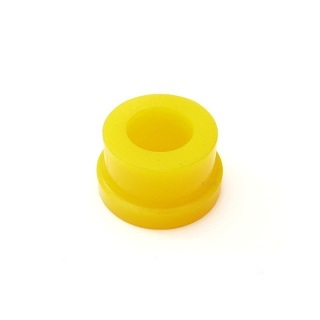 This is the polyurethane heavy duty bushing that replaces the rubber factory style bush for both front and back spring eyes. This bushing will give you longer life and more suspension control. Qty 12 required per car.